The university cancelled classes and heightened security on campus on Monday, November 30 after an online threat was made against the students and faculty. All classes and activities were cancelled on November 30 when a student from the University of Illinois at Chicago (UIC) threatened gun violence on the main quad. 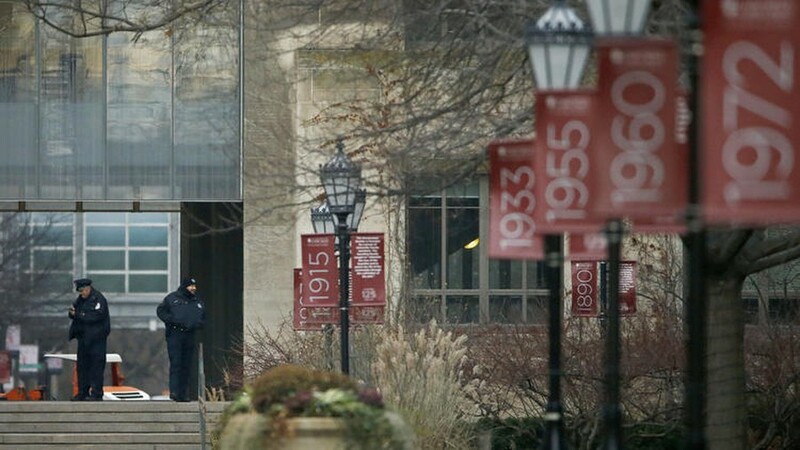 “Based on the FBI’s assessment of this threat and recent tragic events at other campuses across the country, we have decided in consultation with federal and local law enforcement officials to exercise caution by canceling all classes and activities on the Hyde Park campus through midnight on Monday,” President Zimmer said in an e-mail to the University community on Sunday evening. Dean was detained by the FBI at 12:32 p.m. on Monday, though classes remained cancelled for the rest of the day. Investigators found no weapons in his off-campus apartment, and classes and activities resumed Tuesday. According to an e-mail sent by Zimmer at the time, security presence increased on campus for the remainder of fall quarter. Dean was then charged with transmitting a threat in interstate commerce. He was released into the custody of his mother, put into home detention at her house in South Shore, and ordered not to use the Internet. In January, U.S. Magistrate Judge Susan E. Cox added that Dean must report the charges to any school to which he applies in the future. In February, a federal judge loosened his house arrest so that he could search for jobs. He is now allowed to leave his mother’s home between 8 a.m. and 5 p.m.